Coasterstock 2019 at Kings Island will be here faster than you can say The Beast. 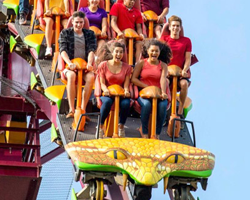 Or Diamondback. Or Mystic Timbers. 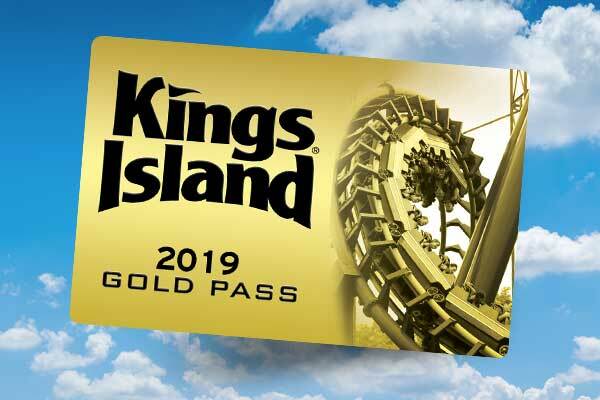 Tickets for one of the most anticipated roller coaster enthusiast events of the year will go on sale Friday at 10 a.m. exclusively online at visitkingsisland.com. 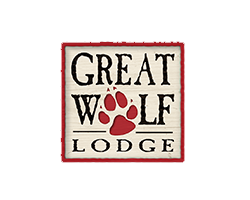 The two-day event will take place May 17-18 and feature morning and night exclusive ride time (ERT) on popular attractions, behind-the-scenes photo and video opportunities, unlimited digital photos, catered meals, guest speakers, contests, and so much more! Upon purchasing your Coasterstock ticket you will be required to register for the event. Your ticket order confirmation number and club/organization membership number will be required with your registration submission. Hundreds of roller coaster enthusiasts from all 50 U.S. states, Canada, Germany, Great Britain and Switzerland have descended upon Kings Island for Coasterstock since the event premiered in 2015. Ticket sales will end May 5 or when capacity for the event has been reached. A few gallons of paint can go a long way. 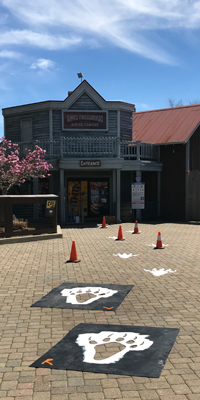 In the days leading up to the start of the 2019 season, Kings Island revealed that the once-revered Beast paw prints would return to the park. 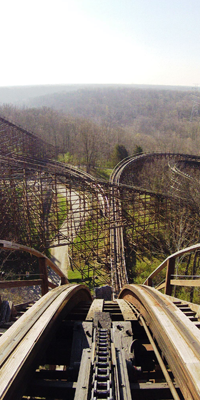 After more than a decade’s absence, these tracks would once again lead guests to what is arguably one of Kings Island’s most popular attractions, The Beast. If you’ve been coming to the park for a while, you understood the significance of the announcement. New Orleans has its Bourbon Street. New York is famous for Park Avenue. Chicago has its Michigan Avenue. 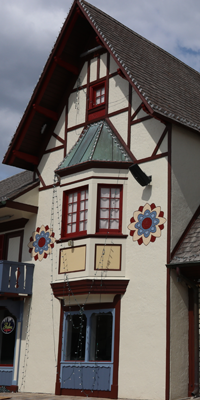 Kings Island has International Street. When conceiving the idea for Kings Island, park designers wanted to create an escape from reality, a bubble from real world responsibilities. At the heart of it would be the creation of a dramatic entry way and for guests to become overcome by the immense beauty and tranquility as they passed through the gates. Readers' Mailbag: Why are the supports on Diamondback different colors? 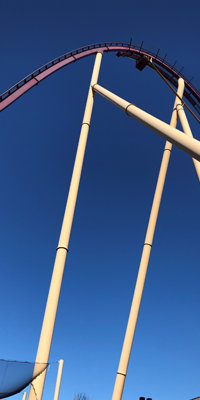 You have questions about Kings Island. I have answers. Wait. We’ve done this before. You know how it works. You submit your questions for possible inclusion in a future Kings Island Blog Readers’ Mailbag. Remember, the more insightful and entertaining your questions are opposed to speculation (“Will you ever..:?”), the more likely they are to be selected. 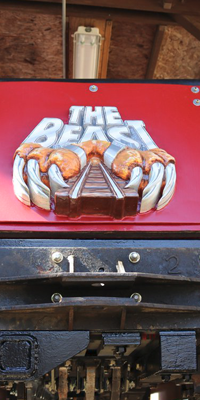 On this day 40 years ago, on a rainy afternoon, six engineers, 17 technicians, 53 construction workers, four managers, one general manager and 33 assorted involved people, watched as The Beast roller coaster’s gleaming red 2,700-pound car was placed carefully on the untested tracks. 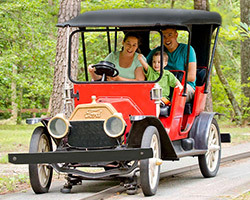 The first test of The Beast at Kings Island was beginning and the mission was to get the car to return. 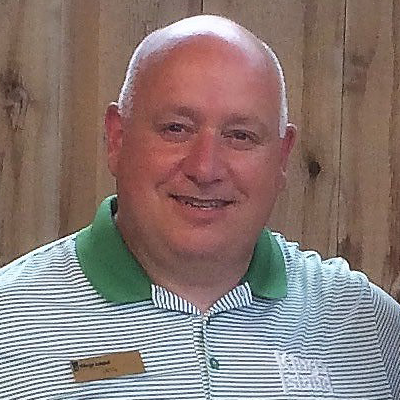 With the 2019 Kings Island season quickly approaching, it’s time to map out your game plan! Your game plan should not only include which coasters to ride first, but also where to stop along the way to refuel. 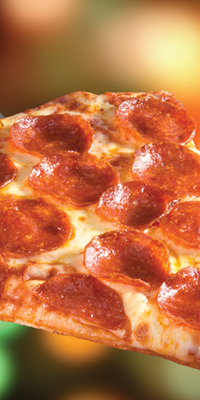 That’s where the All Season Dining Plan comes in. Here are just a few reasons why you’ll want to add this onto your Gold or Platinum Season Pass before Opening Day on April 20. We don’t believe in coincidences here at Kings Island. In case you missed it, the Internet has once again gone wild with a meme. The video originally done by Nikki Emery on YouTube back in 2018 has re-emerged. It features a POV of The Beast while Smashing Pumpkins hit ‘1979’ plays in the background. When most people think of an Internal Revenue Service employee, they envision a no-nonsense, grim type of individual. Carl Eichelman, however, was not your average tax man. 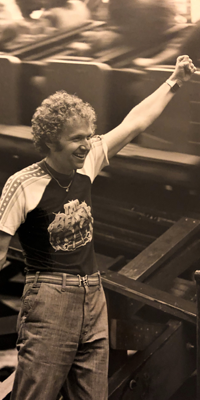 The Toledo, Ohio native was an extroverted, uninhibited, fun-loving, ingenuous individual who accrued a Beast-record 4,400 rides from 1979 to 1985. Carl, who passed away in 2017 at the age of 77, was the original Beast tamer. For ten years a cherished Kings Island icon rested in a small, dark corner of the park gathering dust. 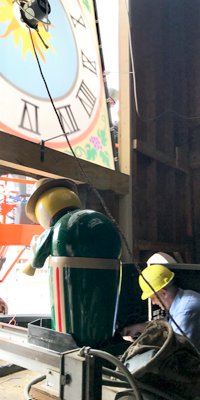 Rarely seen since it was removed from public view in 2009, the lifeless Festhaus Glockenspiel characters have been poised and ready to announce the next quarter hour, which never came. A musician waited to raise his trumpet. A chef, to display his culinary creation. A couple, ready to raise their steins in celebration. There is exciting news for guests who collect Kings Island pins. 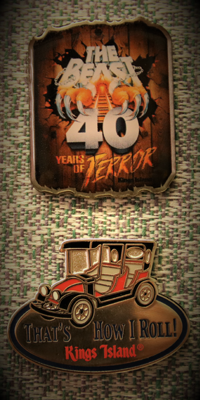 Six new pins will be available when the park opens for the 2019 season on April 20. Guests can look for these new pins at various locations at the park while supplies last. 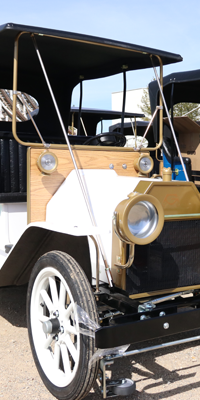 The four-passenger autos, which were delivered to the park March 26, are 2/3-scale replicas of the 1911 Ford Model T and come with a single pedal control, automatic braking and feature a rugged rear axle equipped with hydraulic braking.